The Salvation Army in Latvia has just released a new web page. You can study it in English HERE. The policeman directed me to pull over into the road on my right. ‘We have it on video if you need to watch it. It will be 4 points off your licence and up to Ls.100 fine. The panic inside me started to rise. How had I not seen it? How am I going to pay such a big fine? It is not going to be good to have points off my licence.I followed the policeman to his car. Pestisanas armija he reads on my car document – ‘What are you saving?’ he asked with a hint of sarcasm in his voice. I had been caught, caught breaking the law – I felt guilty and was awaiting the consequences, I knew they were coming and there was nothing I could do to avoid it. After some time, the policeman came back with my papers – Ls.40 fine, I had got off lightly. I had broken a human law – a law of the land and I had to pay the consequences. As Christians we believe that God has made the world also with spiritual laws – the main one being that we should live to love God and put Him first in everything we do in life. Many of us are maybe unaware of those laws, or we choose to ignore them. But, just as there are consequences of breaking the law of the land, so there are consequences of us breaking God’s laws. The Bible tells us that we all deserve punishment for it – the consequence is death. There is no getting out of it – just as I had to pay the Ls.40 fine. 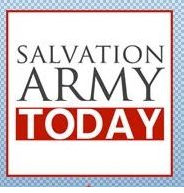 But, there is more to this story – and that is where the ‘saving’ in The Salvation Army comes in. We can’t save people – but we believe that Jesus can, and in fact has done everything so that we can be saved – saved from the consequences of breaking God’s laws. In order to pay for the consequences of what we do wrong, Jesus came to earth and died in our place on the cross. The Army’s mission is to tell people this good news – that Jesus can save us from our punishment. One day we will all meet God – and just like the policeman could show me the video of me driving through the red light, God will also be able to show us how we have broken His rules. Putting our faith in Jesus and how He took the consequences of what we do wrong will SAVE us. I dream of an Army that truly reflects the mind of Jesus in our commitment to the poor and the marginalised. I dream of an Army that practices what it preaches from the top leadership down, an Army that is a visible and living example of Kingdom values. I dream of an Army that values its youth where our young people feel that they have a voice. I dream of an Army with strong relevant and streamlined administrative structures and a much more effective use of our financial and material resources. I dream of an Army where all cultures are equally accepted and celebrated through the spiritual ties that bind us all together. I dream of an Army that shuns the dependency culture. GENERAL COX: YOU HAVE CALLED US TO A DEEPER SPIRITUAL LIFE. 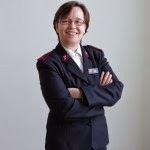 - FSAOF blog - "Very recently at the New Zealand Congress, General André Cox said he dreams of a Salvation Army that is ‘vibrant, committed and on its knees before God. He said ‘Deepening the spiritual life of Salvationists is essential to moving forward as an Army. If we want to see our world change, we ourselves must be changed by God’." 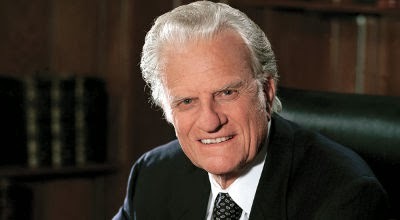 - Charisma News - "Evangelist Billy Graham, who preached the gospel for more than seven decades, has written his 32nd book: The Reason for My Hope: Salvation.